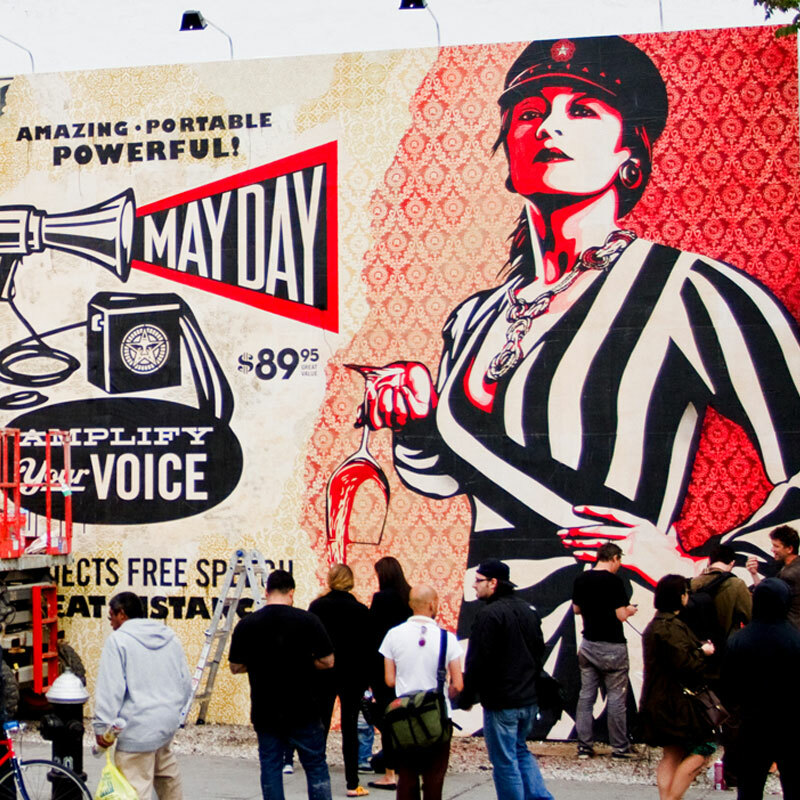 Frank “Shepard Fairey” is a globally renowned graphic artist and muralist. He was born in 1970 in Charleston, South Carolina and graduated from Idyllwild Arts Academy in Palm Springs, California in 1988. He earned his Bachelor of Fine Arts from the Rhode Island School of Design in 1992. 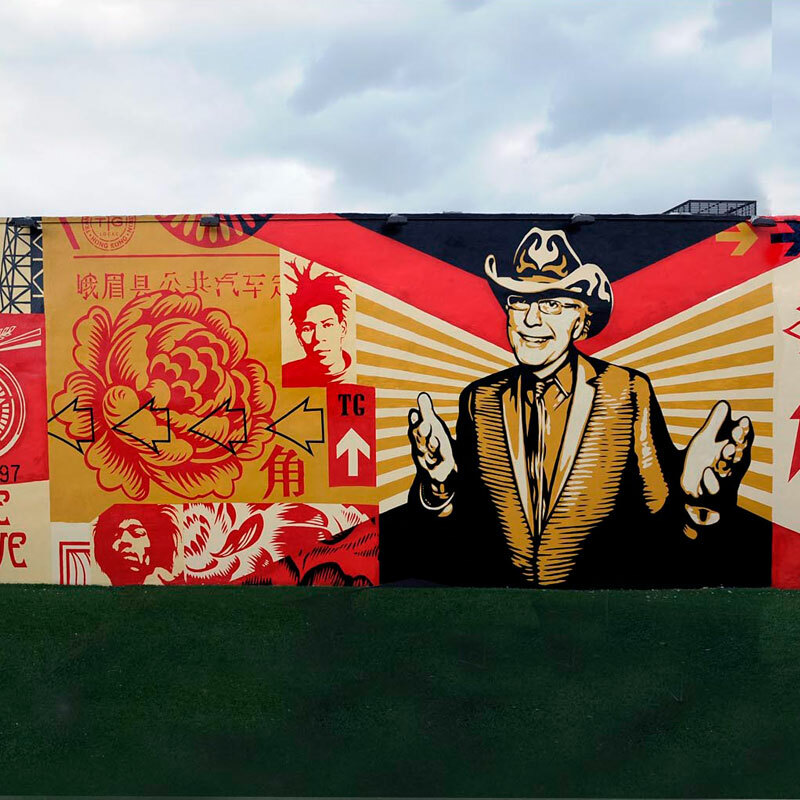 As a young adult, Shepard Fairey became very interested in art and soon began to draw on t-shirts and skateboards. As a a skating-obsessed art student he soon got himself a part-time job in a skateboarding shop to help fund his studies. During this time he made waves in the skating community by pasting his homemade stickers throughout the city. This love of skating, combined with an affinity for punk music, soon led him to realize that his true passion lay in graffiti and street art. 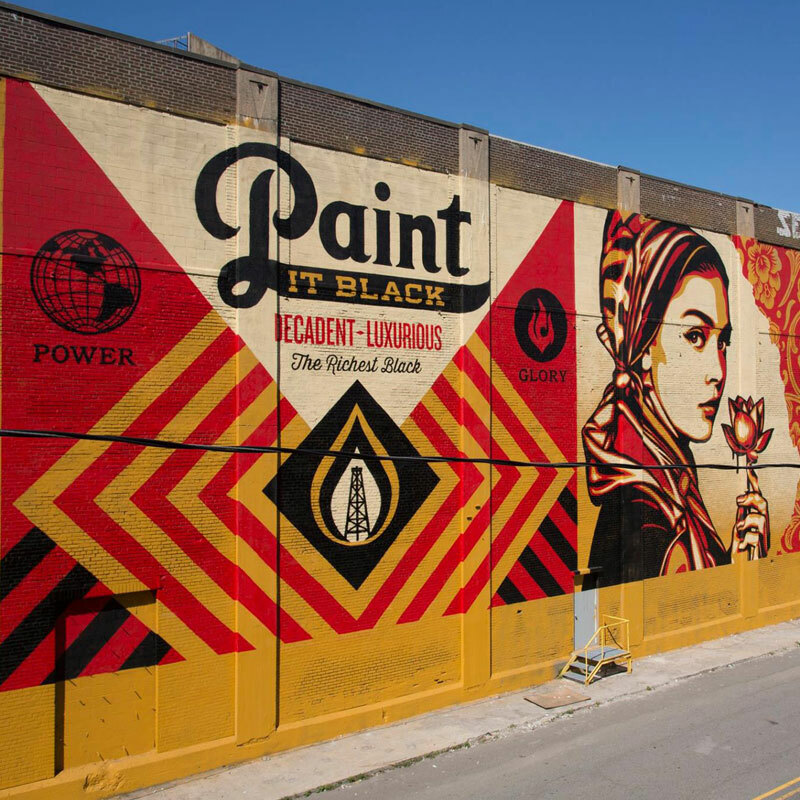 Shepard Fairey has become one of the most influential street artists of our time. His work has been used in screen-prints, stencils, stickers, masking film illustrations, wheat paste, collages, sculptures, posters, paintings, and murals. Fairey has constantly shifted between the realms of fine art, commercial art, street art, and even political art. His most famous works range from images of Andre the Giant to Barack Obama! 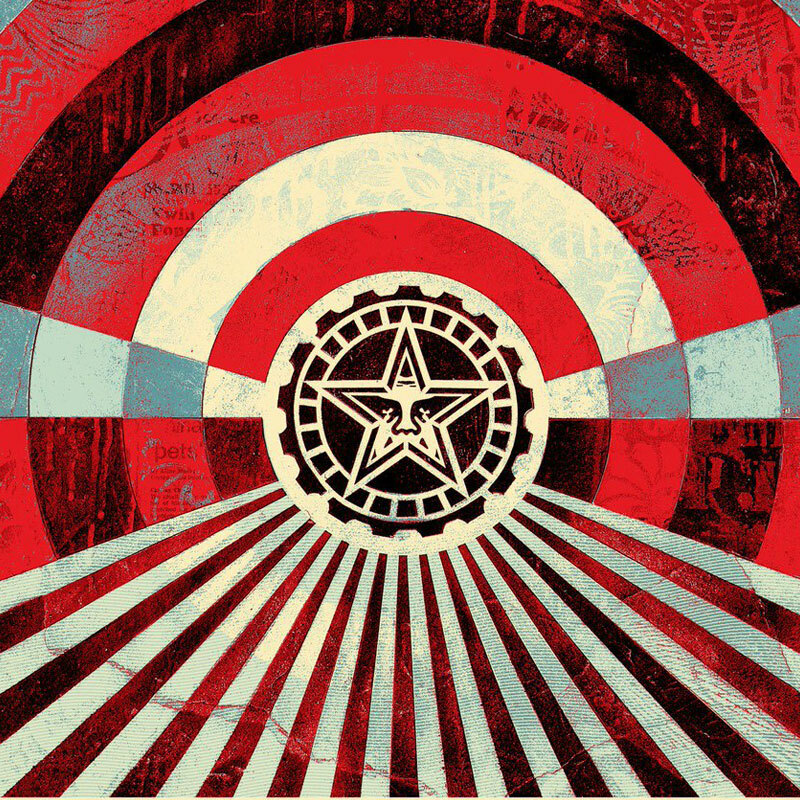 Shepard Fairey’s work combines elements of graffiti, pop art, business art, and Marxist theory. His work has been shown in galleries, and even museums, across the globe. His portrait of Barack Obama drew national attention to his work which only served to increase his notoriety. This poster also received the Brit Insurance Design of the Year Award in 2009.